E- Link Industrial POE Fiber Media Converter 4 Port EPON ONU With PoE 1 Uplink for sale – POE Fiber Media Converter manufacturer from china (108167941). 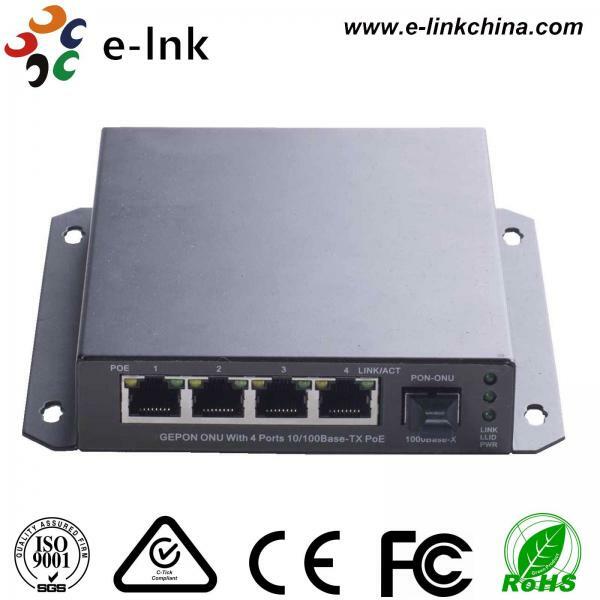 LNK-ONU4FEP ONU is a device with 1 uplink GEPON port and 4 10/100M RJ45 ports. It support POE (PSE) function, 4 FE ports Compatible with IEEE802.3af 15.4W and IEEE802.3at 30W POE standards. 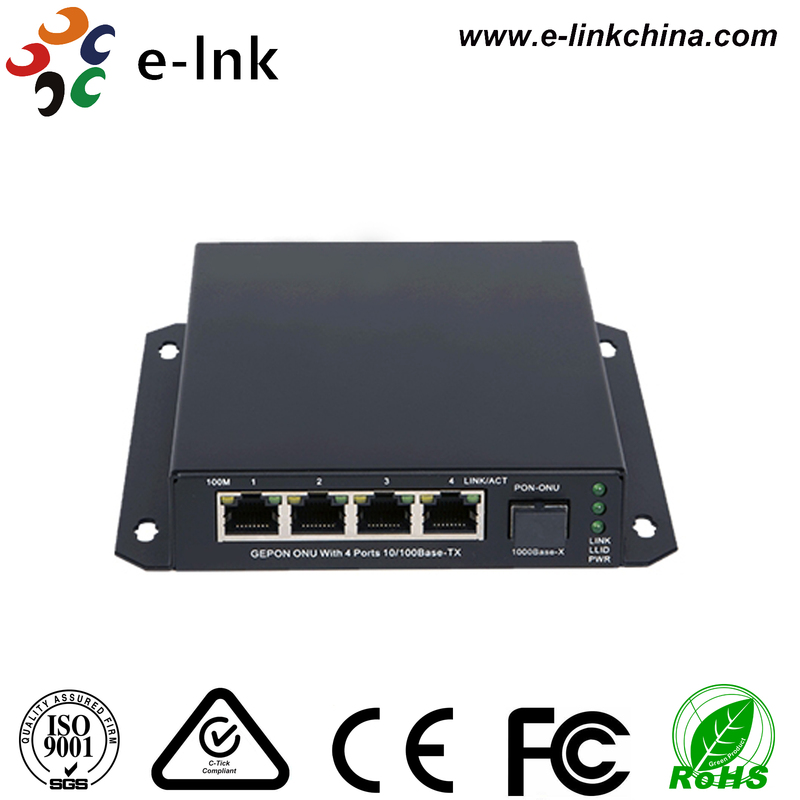 It is Industrial type POE product, can auto discovery the power receiving devices which support IEEE802.3af/at standard and supply power to it. 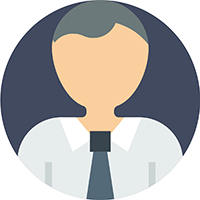 If connected devices which not support PoE, it will auto stop supplying power. 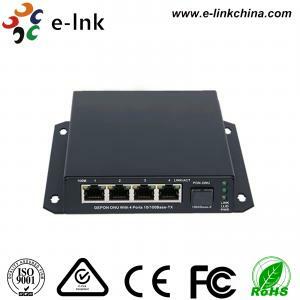 It supports to work with IP camera, IP phone, wireless AP and other network devices, supply power to these devices.